This may conjure up ideas of people rushing around in cars looking for clues, but perhaps I am stuck in the 70’s… now, as you can imagine, treasure hunts have taken on a whole new look using GPS to help you navigate around. Wildgoose are one of the best companies to provide Treasure Hunts and corporate events in London. Depending on your budget, you can either opt for a fully managed event or a self-managed event. The challenge will take you either right around the metropolis, or you can choose to focus on one area. Whatever you choose, you can be guaranteed a great deal of fun. You will be presented with questions and tasks to test your knowledge and photo and video challenges will see you and your colleagues channeling your creative side to win points in this competitive, fun and unique team building challenge. No, you don’t have to go into the depths of the country to take part in this messy and quite often painful exercise. Paintballing is now on the doorstep in Canary Wharf. The Paintball Centre is a brand new indoor arena site, just 2 minutes from the tube station. With over 40,000 square feet of ‘fields’, they can cater for groups of up to 70. 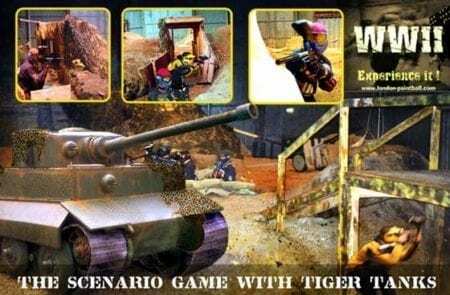 This venue also boasts the only two-thirds full size WW11 Tiger Yank in the world, which was purpose made for them by a Hollywood set and design company. They have 10 playable game scenarios using 3 re-arrangeable game zones, so you will never play the same game twice. Golf in the city I hear you say? 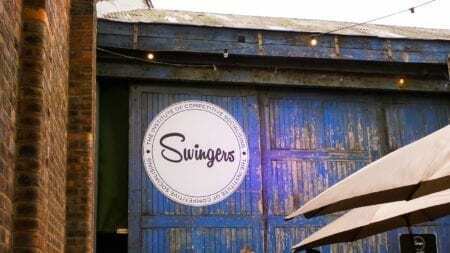 Perhaps not quite as you know it, but Swingers is the newest venue in the city which offers a totally unique team-building golf experience. They have two 9 hole crazy golf courses, along with a Clubhouse, Gin Terrace and President’s Committee Room. Housed in a massive basement space just yards from the Gherkin, the two courses, The Windmill Course and The Lighthouse Course are available to hire from 12 noon until 1am. The total capacity for an exclusive hire is 500, and if you do hire it for an evening, every single person is guaranteed a round of golf. For the more serious golfer, then Urban Golf at Smithfield will be more up your street. They have simulators which enable you to play every single shot, from a 300 yard drive, a bunker shot and a nervy 2 foot putt. In recent years this has become a really popular team-building activity. Bounce currently have 2 locations in London and they have Games Gurus who range from former table tennis professionals, actors and comedians. They will select either a Sports Day or Tournament style event, depending on the numbers involved, and they will ensure that everyone is organised, entertained and rewarded. You can relax knowing that everyone will be involved and will enjoy the event regardless of ability. It doesn’t matter if none of you have either held a bat before. Games Gurus will help you to think outside of the box, have you running in your suit and even laughing with your boss! We are talking about the ten pin type of bowling here – All Star Lanes have 4 locations in London and one in Manchester. 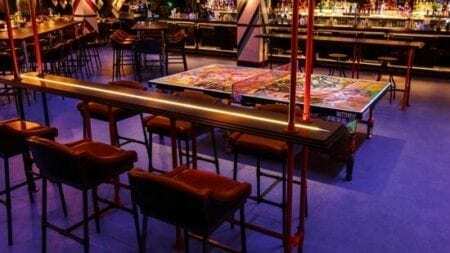 Each venue has a number of private rooms which hold any number from 30-130 with up to 3 lanes, so perfect for after work get-together/team building. You have unlimited bowling and also have Tournament options with prizes to make it more competitive. 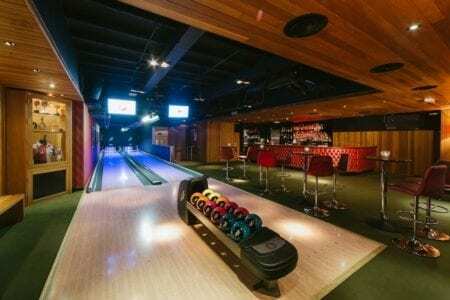 Topped off with cocktails with your own mixologist, a retro photo booth and sliders and canapes, All Star Lanes provides an excellent opportunity for team bonding. Well, everyone likes eating, so we thought this would be a good option to include. Even the most antisocial person should be tempted with this team building activity. 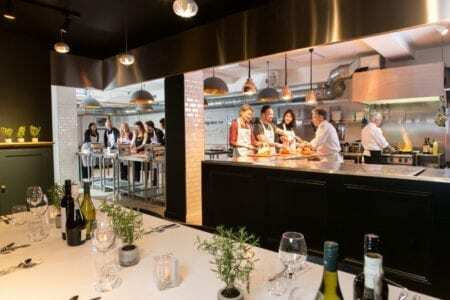 There are a number of cookery schools offering this type of event in London, but the Undergound Cookery School in EC1 has caught our attention; first of all you are invited to choose a menu including any special dietary needs and these will be incorporated into your programme. Before you get your hands dirty, you are lulled into a false sense of security with champagne, canapes and funky music. Then the work begins! Under the watchful eyes of fully trained chefs who will be guiding you along the way, you will prepare a meal with your colleagues. 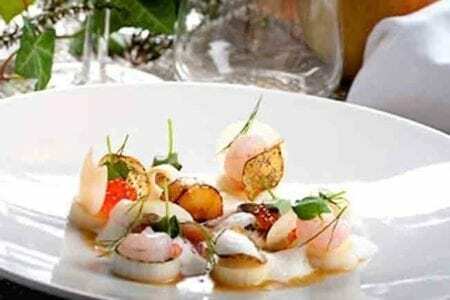 You may even pick up some trade secrets on just how the chefs you see on television prepare and cook their food. Once the hard work is done and the meal is ready, you get to sit down to enjoy the fruits of your labour, washed down with some fine wine. Best of all, you don’t have to do the washing up! This activity is better suited to smaller groups. For larger groups, then we recommend Aveqia. Here you can take part in Interactive cooking, where you are divided into teams and each team is responsible for one course. With this activity exact timing and collaboration is key. The focus can also be aimed at the roles and dynamics within the group to further enhance the team building aspect. Interactive Cooking is a challenging but relaxing exercise, where you and your colleagues have to come together in order to achieve the final objective – a Michelin star meal. Please do send us your team building ideas too – we would love to hear them.